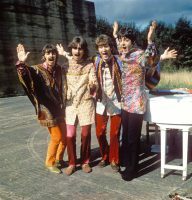 This was the fifth day of filming for Magical Mystery Tour at West Malling Air Station in Maidstone, Kent. Among the exterior shots filmed during the week at the army base were the marathon scene, which took place on the main runway and perimeter road; another in which a group of people including Mal Evans and Neil Aspinall had their picture taken by Little George the photographer; and a tug of war involving 12 children and blindfolded vicars. 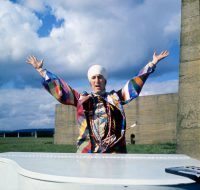 The most memorable of the exterior shots, however, was for I Am The Walrus. 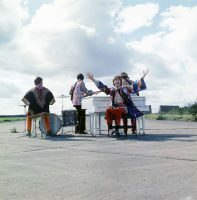 The Beatles mimed to the song at two locations at the airfield, including use of high anti-blast concrete walls atop which the group and four actors dressed as policemen stood.